Damages during transit are a common when transporting whiteboards or chalkboards. 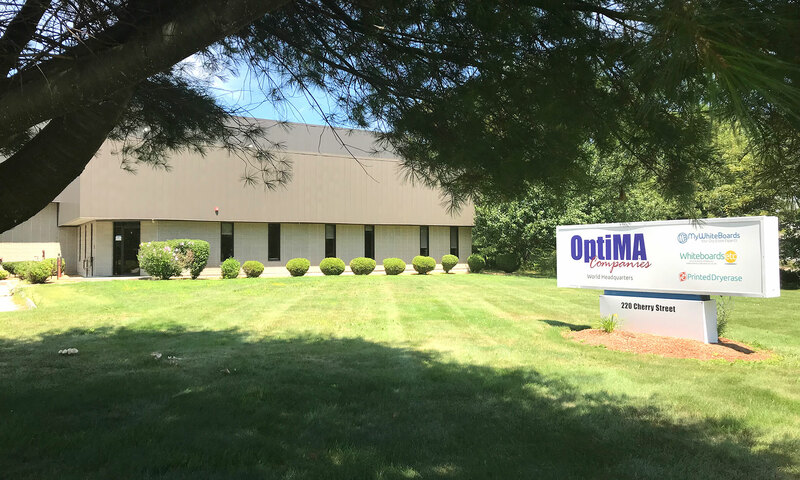 However, you can do your part to help prevent it and OptiMA, Inc. will be happy to replace any display board damaged during transit IF YOU FOLLOW THESE SIMPLE STEPS and SIGN FOR THE BOARDS AS DAMAGED UPON RECEIPT. Many of our boards are large and bulky and sometimes very heavy. A delivery driver will need assistance in unloading your order or you will have a greater chance of getting damages. Never sign for any package before you inspect it carefully and fully. You must look at each package to see if there is any damage such as holes in the carton, dents or dented corners, rips or tears in the packaging etc. If you see these then there may be damages to your order. We recommend opening each package and fully inspecting your order while the driver is still there. Once the driver leaves it is too late and it becomes your responsibility to file a claim. Call the trucking terminal immediately for instructions or visit the web site provided to you in our email. If you know that the contents are damaged then mark the bill with the number of boards damaged and the sizes. You can ask the driver to take back any damaged board or hold them aside for inspection and pick up at a later date. It is always best to refuse any damaged pieces and send them away with the driver if he will take them. Check the contents of the packages. The biggest problem is concealed damages. You never know what has fallen against your order in the back of the truck or if your order was crushed as a load shifted. Open each package and inspect it no matter what the outside of the carton looks like. If you suspect hidden damages and the trucking company will not wait for you to inspect the contents of the box then note all carton imperfections on the receiving slip as described above. A small wrinkle in the box can indicate damages. You must also indicate that the contents may be damaged, to do this simply write Possible Damage – Pending Inspection.